Notably, he served as lead trial counsel in an intellectual property dispute involving a Fortune 50 retailer; in the defense of a $500,000 predatory lending claim that resulted in a jury verdict for a national mortgage lender; and in the settlement of a seven-figure negligence claim for a South Carolina healthcare provider prior to trial. He routinely works with in-house corporate counsel and insurers to resolve employment litigation and appellate matters. Additionally, Michael was previously admitted pro hac vice in Clark County Nevada where he settled an employment dispute on behalf of a national sporting goods distributor, and in the Western District of Tennessee where he resolved a whistleblower action for a leading aluminum rolled products company. 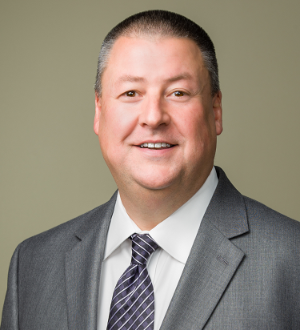 Certified as both a civil mediator and an arbitrator by the South Carolina Supreme Court, Michael also has previously held the Professional in Human Resources designation from the Human Resources Certification Institute in conjunction with the Society for Human Resources Management. He has been a featured speaker at seminars and corporate training events and makes presentations for numerous professional organizations. He also has taught employment and labor law as an adjunct faculty member at Anderson University in Anderson, South Carolina.